Note: This is a blog post of my presentation at the Doubling Australian Aid conference. A narrated slideshow can be found here. It’s a myth that aid is static, as we shall see there are some exciting changes taking place. What are the new innovations that are improving aid effectiveness in the 21st century aid? We can improve the quality of recipients by selecting on the basis of performance and results, and (trying) to improve governance. We can improve the quality of donors by reducing the knowledge burden and making donors more accountable. And we can also improve the interactions between donors and recipients. Yet all three of these challenges are compounded by imperfect information, principal-agent and political economy problems. Giving aid isn’t easy! This blog post provide examples of four innovations that are already happening in aid agencies, and two innovations from the private sector that are yet to take-off in the aid world. None of these are panacea, but all have the potential to improve aid effective. Cash on Delivery is a new approach to results-based aid, proposed by the Center for Global Development. Traditional programs can create unintended incentives for rent-seeking and problems of dependence. And, as we know, they often have disappointing impacts on development outcomes. Cash on Delivery aid differs from traditional projects and budget support. It seeks to address these problems by linking payments to progress on specific outcomes. For example, a donor might sign a contract with a recipient that says that for every extra child completing school, the donor will pay $100. A third party is contracted to verify the number of children completing school. And based on this an aid payment is made. The approach is appealing because it tackles some of the imperfect information, principal-agent and political economy problems associated with traditional aid. This is why UK and Germany are planning pilots of Cash on Delivery aid. With these kinds of pilots taking place and increased scrutiny of aid programs, a growing number of donors are making the move to independent evaluation, and using more rigorous methods. When it comes to scaling up aid, we want to make sure that we avoid two mistakes: a ‘Type 1’ error occurs when we don’t scale up something that works, and and a ‘Type 2’ error when we scale up something that doesn’t work. Organizations such as the Jameel Poverty Action Lab at MIT, and 3ie (an international initiative on impact evaluation) are driving better evaluation standards to help reduce mistakes. Better techniques, such as rigorous impact evaluations with control groups, are part of the solution, but we also need to reduce institutional biases associated with internal-models of evaluation. Such models can lead to overly positive assessments, uneven rigor, and delayed publication. Sweden already has an independent evaluator. The US has just released an independent evaluation policy. And Germany is also planning to set up an independent evaluation agency. Aid agencies have a large knowledge burden – the challenges of operating in large number of countries and many sectors. Specialization and decentralization are two ways to manage this, but in a context where administrative costs are under pressure there are limits to how far agencies can pursue this strategy. Meanwhile, the number of aid projects has increased exponentially over the last couple of decades – compounding problems of knowledge burden and coordination. This is why nearly all donors are choosing to be more selective in where they work, the sectors they engage in, and the number of projects that they manage. In 2009, the Canada announced that it would spend 80% of its bilateral aid money in 20 ‘countries of focus’ – chosen based on ‘their real needs, their capacity to benefit from aid, and their alignment with Canadian foreign policy priorities’. DFID is conducting reviews of the UK’s bilateral and multilateral aid programs, to narrow down the scope of engagement: fewer countries, fewer sectors in countries, and fewer and larger projects. And the European Commission is implementing a Code of Conduct on Division of Labour to reduce the proliferation of aid. This agreement also includes giving Commission funds to Member States to manage. With disappointing progress in taking forward the aid management reforms agreed in the Paris Declaration there is a resurgence of interest in accountability. Better transparency is necessary for accountability and can also make coordination easier, in line with Paris Declaration goals. The last couple of months have seen significant advances on the aid transparency agenda both internationally, and by individual donors. The UK’s Department for International Development (DFID) last year announced their Aid Transparency Guarantee. This signals a move towards proactive disclosure, announcing that in future, detailed information about all new DFID projects and programs will be available online, and the information published will be “comprehensive, accessible, comparable, accurate and timely.” The crucial thing here is that DFID acknowledges the importance of ensuring that aid information is published in ways that make it easily accessible and internationally comparable. Meanwhile, 18 donors have so far signed up for the International Aid Transparency Initiative (IATI) – Australia being one of them – a further 15 countries having endorsed the initiative. Last month, the US government said that it expects to publish details of its aid program in line with the IATI standard. And the EU Foreign Affairs Council has agreed that member states would publish details of their aid in an internationally comparable format. Last week the UK became the first donor to meet the new IATI standard for aid transparency. Some donors are taking transparency further by opening up the vaults to their vast databases. The World Bank’s Open Initiative makes the World Development Indicators and other datasets freely available, and their Apps for Development competition is encouraging innovation to make this data even more accessible. Although the main focus of this presentation is on innovations from established donors, we shouldn’t ignore that recipients are also doing things differently to promote transparency. There are some exciting lessons from Africa, including the geo-coding of aid data in Malawi. New innovations can come from aid bureaucracies, but many of innovations above have their origins outside of aid agencies – in think tanks, NGOs and the private sector. The final two innovations that I will discuss are examples from the private sector that have not yet been adopted by aid agencies. These are future opportunities. Broken feedback loops from recipients to donors are a recognized problem for aid accountability. How do we know projects are being implemented and services reaching recipients? Crowdsourcing recipient feedback is one way to find out. Ushahidi is a a non-profit tech company that specializes in developing free and open source software for information collection, visualizarion and interactive mapping. 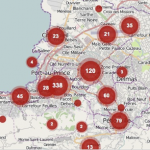 Ushahidi is a pioneer in crowdsourcing data from citizens to map out crises as they unfold. Citizens can send an SMS message or an email to provide feedback and the data is collated in a form that is accessible to broad audience. 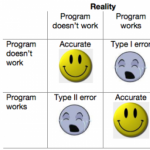 This is also a potentially powerful tool for fixing feedback loops on service delivery. Imagine PNG schools being able to send an SMSmessage to confirm that Australian-fund textbooks have been delivered, and school kids in Australia being able to see this information visualised on a map. Technical assistance accounts for about a quarter of bilateral aid from DAC member countries, and almost half of Australia’s bilateral aid, yet the evidence of its impact is tenuous. There are oft-cited problems of high costs and disappointing results. Yet technical assistance is firmly embedded and likely to remain a key instrument of foreign aid for some time to come. Perhaps there are ideas from private sector that can help us to make it work better – specifically to make the market for technical experts work better. For example, web-based marketplaces and workplaces, such as Elance, have transformed freelance services in the private sector, yet are not a key feature of the delivery of technical assistance. Web-based solutions have several attracted features. First, they directly tackle imperfect information on the quality experts by introducing a transparent feedback loop. Thirdly, they can also solve some principle-agent problems by lowering transaction costs so that recipients can recruit and pay for results themselves, with donors playing an ‘no objection’ and co-funding role. These are just some examples of the exciting innovations and opportunities for the aid world. In the 21st century, the aid agencies that do best will be the ones who, experiment, adapt and evolve. Donors who collaborate with new partners to capture the benefits of information, networks and new technologies. Donors who experiment with new approaches to giving foreign aid – be it cash on delivery or smarter technical assistance. Donors who evaluate and scale up programs that work. These will be the donors that deliver the best aid. The future of foreign aid beckons – are we ready?